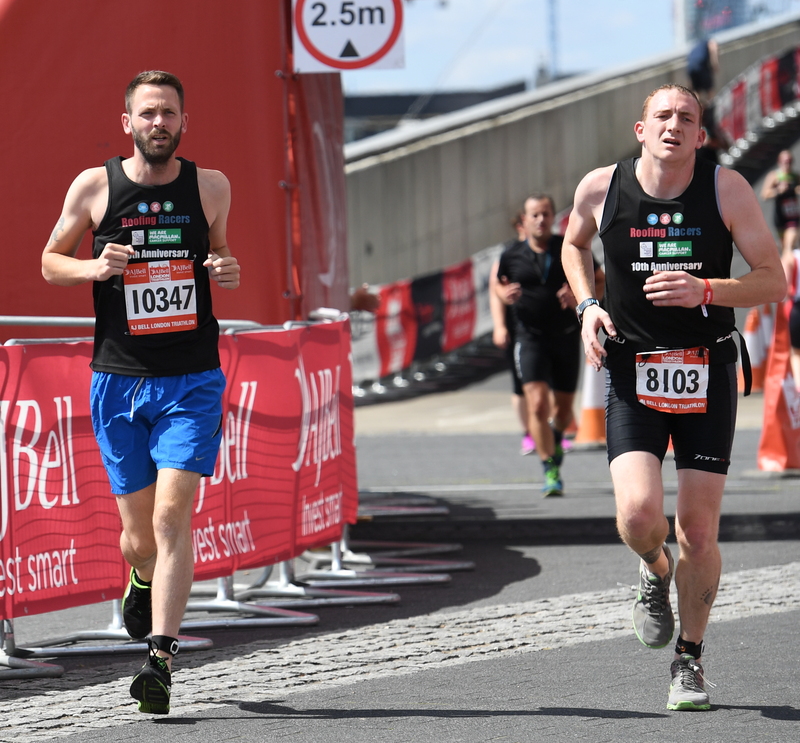 Saturday 6th August 2016 saw over 13,000 elites and amateurs compete in the world’s largest and most famous triathlon – the London Triathlon. 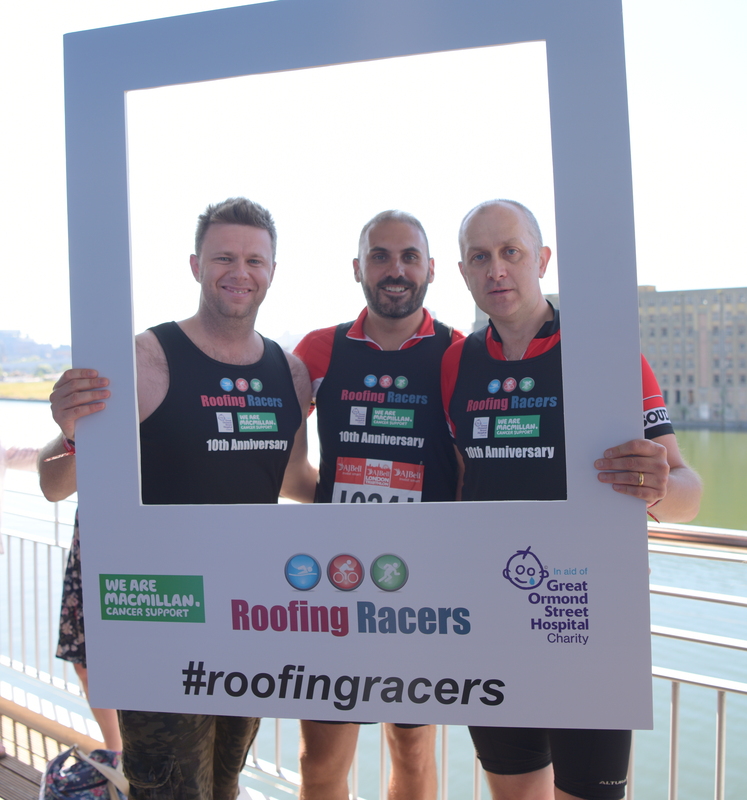 With competitors giving it their all and over 30,000 spectators, all eyes were on our much-loved Roofing Racers , as for the ninth year they once again put on the performance of a lifetime! Representing the Roofing, Building Plastics and Window industries, an amazing 41 individuals and 21 Roofing Racers teams took part. Some were old hands, some were nervous first timers, whilst others were simply sports enthusiasts who couldn’t resist getting involved. However, they all had one thing in common, each gave their absolute best. 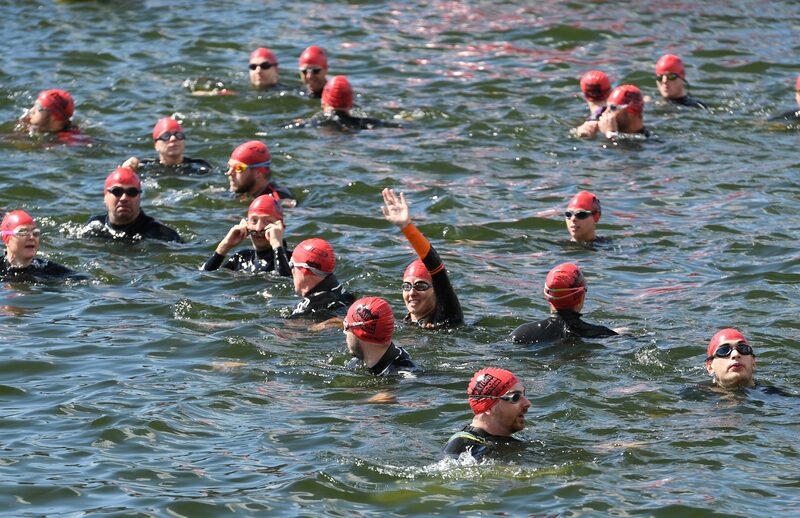 Clad in wetsuits, lycra and trainers, they threw themselves wholeheartedly into the spirit of the competition and attacked the course full of enthusiasm – completing the 750m swim in the Thames, followed by a 20km bike ride, and a 5km sprint to the finishing line in true Roofing Racers style. Click here to see the individual times. Click here to see the group times. Special credit is extended to the following Roofing Racers who gave outstanding performances; Bernie Fyans became Roofing Racers fastest individual man – achieving an impressive time of 01:17:00, and the fastest individual woman was Ellen Curtis with 01:33:30. Meanwhile, Marcus Lightfoot, Grant Holmes and Frank Van Beers from Ubbink represented the fastest Roofing Racers ’ team with an extraordinary time of 01:25:35. 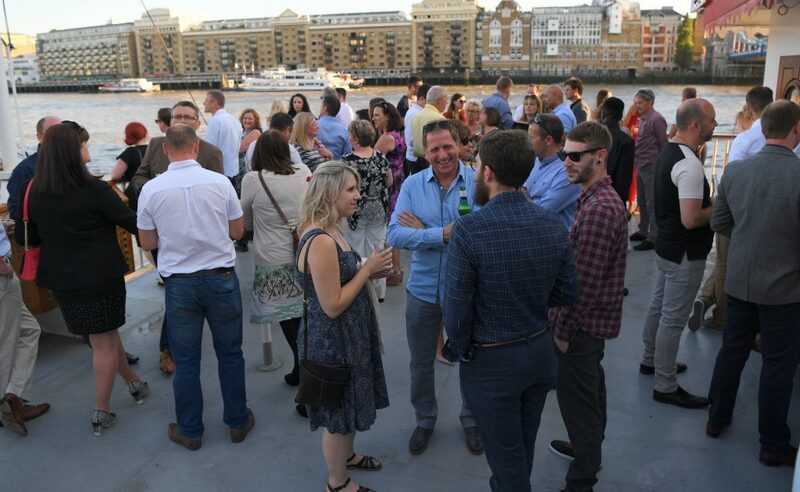 After the event, more than 230 Roofing Racers , along with friends, families and colleagues, boarded the Dixie Queen boat and took a trip down the Thames – even those who had swum in the same river just a few hours earlier! Great fun was had by all, with dancing late into the night and everyone celebrating the achievements of the day and the last 10 years in true style.